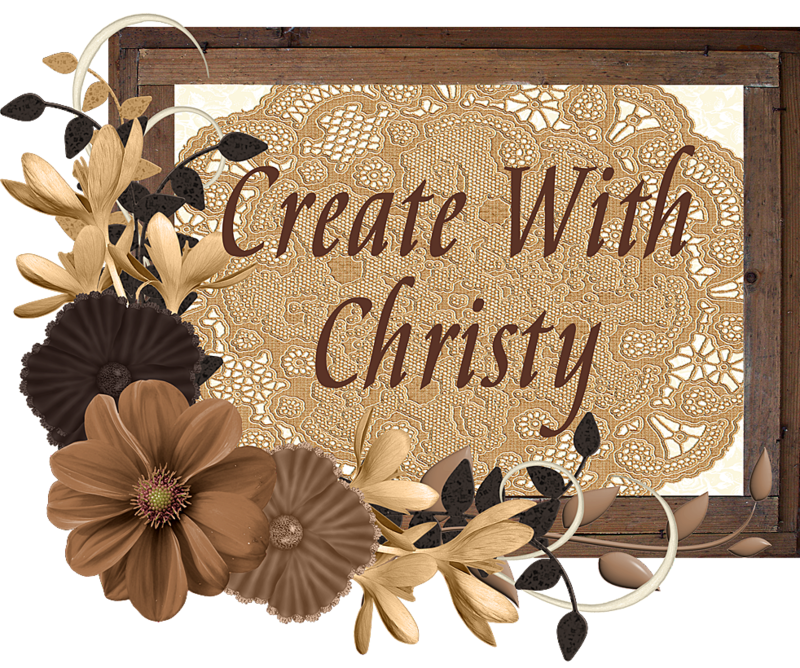 Create With Christy: Today's the Last Day for These Great Promos! 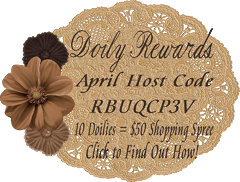 Today's the Last Day for These Great Promos! The first one is the one that is exclusive to me. Click on the picture above to find out how you can get these wonderful Foil Snowflakes for FREE from ME! Your qualifying online order needs to be placed by Midnight (ET) Tonight! Want to see what I've made with these beautiful Foil Snowflakes? CLICK HERE! You don't want to miss out on this great deal! Click on the picture above to see all of the DSP packs that are included in this sale. CLICK HERE TO PLACE YOUR DSP ORDER. It needs to be placed by 11:50 p.m. (MT) Tonight! Today is the last day you can get the wonderful stamp set, Merry Patterns. 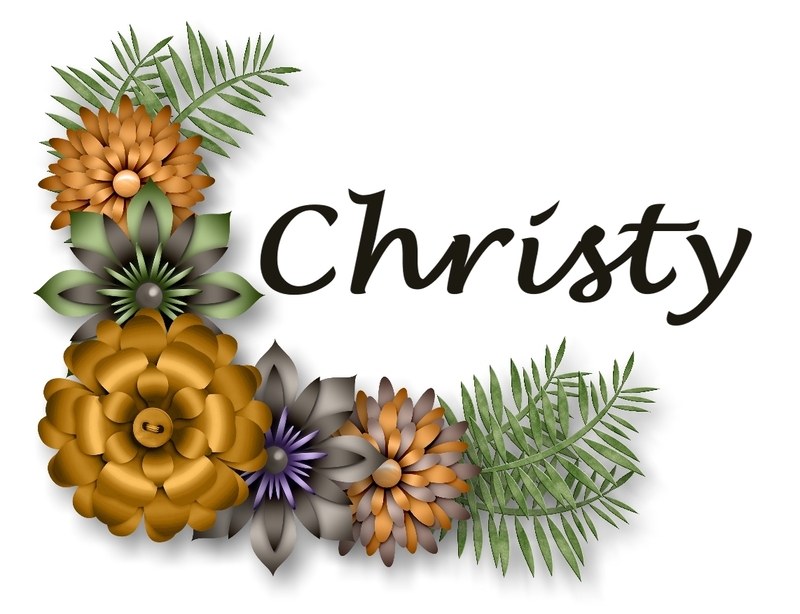 I've had so much fun with this stamp set, and you can see what I've made with it by CLICKING HERE. The only way to get it now is to place a $300 order (before shipping & tax) by 11:50 p.m. (MT) tonight! After that, this stamp set will be gone forever! If you place a $300 order or more by the deadline, you will also qualify to get the Foil Snowflakes from me, FREE...DO NOT USE THE OCTOBER HOST CODE! 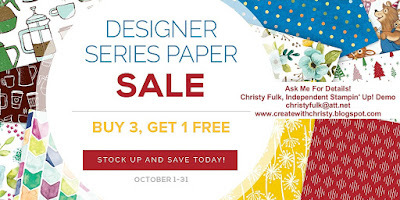 Don't forget about the Buy 3, Get 1 Free DSP Sale above, too! Below, is the video that Stampin' Up! made showing off this great set! Buy 3, Get 1 Free DSP Sale - Ends Tuesday! My First Stampin' Blends Card! 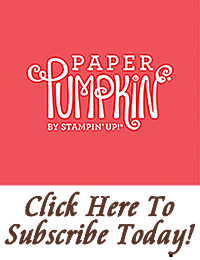 Stampin' Blends Coming November 1! Last Day of the World Card Making Day Sale! 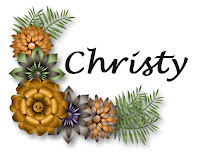 Happy New Year - Stampin' Up! Style! 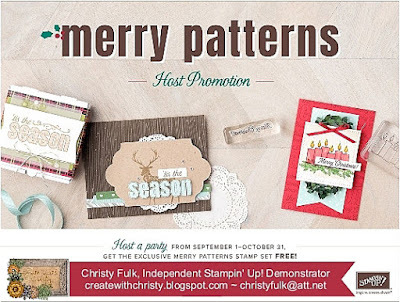 Two GREAT Stampin' Up! Promos in October!